According to the Pinellas Sheriff’s report, “Overwhelmed by Overdoses” we are averaging 17 deaths per month and 210 ER visits. They admit those numbers understate the problem. But it means we are overwhelmed and losing the battle. We must turn this around and start saving lives. Pinellas County formed a task force including Operation PAR, law enforcement, schools, and the Health Department, to work on the problem. Their goals for now are increasing awareness, increasing availability of overdose treatment kits, and increasing availability of treatment. That’s a fine start, some very basic needs, but let’s look at a little larger view. 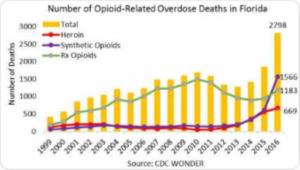 Why the spike in deaths? This new generation of users graduated from pills to heroin. Users experience a euphoric high, but over time, sometimes just weeks, it takes more and more of the drug to get the same feeling and then just to keep from getting “dope sick”. The sickness, caused by withdrawal, is described as extremely unpleasant, driving users to seek more drugs no matter what the consequences, resulting in a destructive lifestyle that most of us would hardly call living. 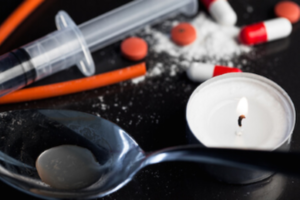 Chasing the high, some users went on to even stronger synthetic drugs such as Demerol, dilaudid, and fentanyl that are mostly used only in hospitals for the most severe cases. Addicts found these could restore the missing “high”. Then the cartels behind the heroin got into the business and began to actually import or manufacture fentanyl and add it to their products. Many times more powerful than heroin, they could increase the potency easily making a product that was more satisfying and more addictive. They even made fake pills out of it. The only problem was that even a small overdose was often fatal. Fentanyl is 50 to 100 times more potent than heroin, making it very dangerous, but also very attractive to the cartels and to end users. Users overdose because the product they buy on the street may be poorly made and of unknown potency. The only reliable test on the street is putting it into a user’s veins. We’re all seeing the results, sadly. 1. Save lives—distribute Narcan widely so everyone can save lives. Everyone. The price must come down. Any family that needs Narcan should be able to have and refill the kit as needed, but it costs $135 at Walgreens, too much for many families. 2. Treatment and rehab must work. Evaluate programs, offer alternatives, hold programs accountable, and push for more. Rehabs and sober homes are often scams, simply ripping off insurance money, treating no one. This has to end. 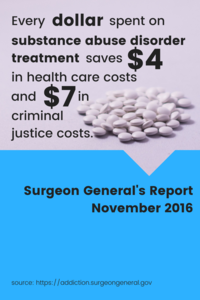 Millions of dollars spent on treatment can’t be wasted. We demand treatment that works and is available when and where needed. 3. Take the profit out of drugs. The reason the cartels work so hard and so ruthlessly pushing their product is to make money — billions of dollars. Let's take it away. You can’t just bury billions of dollars in the back yard. There are many ways to hide and clean the money, but big financial institutions end up handling it and are well aware of what’s going on. We must stop shell corporations used to hide money, open up the transactions, and harshly prosecute money launderers who are the true “enablers” responsible for many deaths. Message: Lower the price of Narcan. Message: Close money-laundering loopholes, investigate rehab and treatment fraud.